Chinese Moxibustion therapy is a powerful adjunct to acupuncture treatment. Moxibustion and its various techniques – Moxibustion is a form of fire heat treatment that stimulates specific acupuncture points of the body. The term is derived from the Japanese “mogusa” meaning herb (mugwort) and the Latin “bustion” meaning burning. 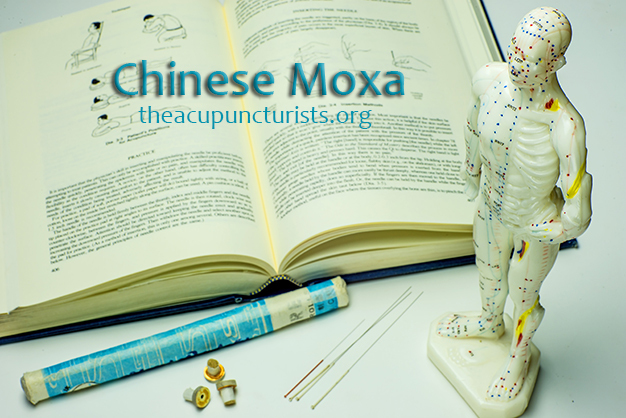 Direct moxibustion: A small, cone-shaped amount of moxa is placed on top of an acupuncture point and burned on the skin. Direct moxibustion is a traditional technique considered to be very therapeutic. Much of the scientific study has been done on scarring direct moxibustion. The effectiveness of direct moxibustion particularly on immune function has been reported as early as 1927 by Dr. Shimetaro Hara, at the Kyushu University in Japan. Presently however, direct moxibustion is not performed routinely outside of Japan, as it may have some undesirable effects such as blistering, burn marks, and even scarring at the moxibustion site. In an attempt to prevent skin damage, some acupuncturists place a medium (slice of ginger, topical paste, etc.) between the skin and the burning moxa or extinguish the burning moxa just before it reaches the skin. The possible effect derived from this type of moxibustion (sometimes referred to as non-scarring direct moxibustion or categorized as indirect moxibustion) should not be considered the same as the scarring direct moxibustion since the main effect of direct moxibustion is considered to result from actual damage to the skin (thus stimulating the release of immunological mediators resulting in a healing reaction). Indirect moxibustion: Currently, the more popular form of moxibustion in many countries including China is the indirect form, because there is a much lower risk of pain or burning. In indirect moxibustion, a practitioner lights one end of a moxa stick (roughly the shape and size of a cigar) and holds it an inch or two away from the skin, usually around the inserted needles to bring mild warmth to the area without burning, until the skin becomes slightly red. The intensity of the heat is adjusted according to the patient’s condition and comfort. Indirect moxa is considered to induce a gradual localized vasodilatation response. In addition to increasing the local blood flow, skillful indirect moxibustion is extremely comforting and can create a deep relaxation response. We practice indirect moxa methods at our clinic in Margate, usually with smokeless moxa sticks applied to areas around the needle insertion site or to other areas of the skin. Needle moxa: This technique used to be quite popular in Japan. With the needle moxa technique, the heat intensity is much harder to control than the moxa stick method. Contrary to commonly held belief, moxa heat conducted through the needle is very minute and insignificant. Most of the heat is actually through reflective heat just like the moxa stick method. 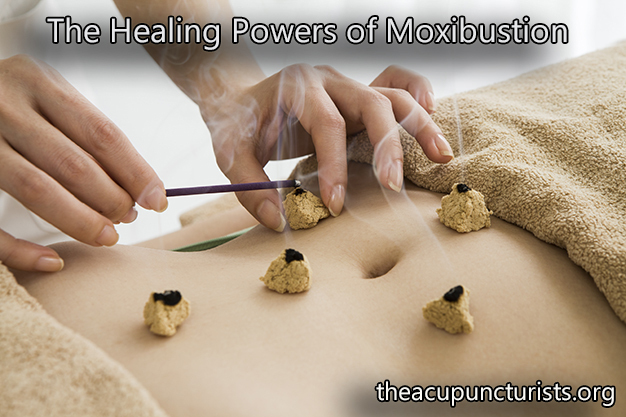 THE ORIGINS OF MOXA – Moxibustion is believed to have originated in the northern part of China. In Mongolia, where winters are dominated by icy chilliness and wind, moxibustion has been used to treat various illnesses and degenerative diseases due to the extreme cold climate. Moxibustion can be applied in many different ways and the expected physiological reactions from moxibustion can greatly vary depending on the type and technique used. By carefully considering the type of moxibustion, and where and how to apply it, moxibustion can be used safely and effectively for almost all patients. However, it should be noted that moxa, especially direct moxa, is generally not recommended for patients with diabetes, decreased sensitivity to pain, who are on certain medications such as prednisone, or who have any other conditions involving compromised circulation or a weakened immune system.